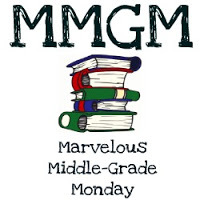 I was just beginning to read my third straight MG book and like the previous two it was going to be full of emotion and gut wrenching family situations. Death, divorce, sibling fights, and unthinkable tragedies were the norm for my book selections in February. I needed a break and my go to author for humor, Tommy Greenwald, did the trick in his fourth guide from the Charlie Joe Jackson series. Reluctant readers will enjoy the variety of chapter lengths (a few are only one sentence long) and any book that has cow jumping in the climax of the story is sure to appeal to many boys and girls alike. To me its like dessert and had me smiling the entire way. FULL PLOT (From Amazon): Charlie Joe’s weekly allowance just isn’t cutting it and he desperately needs money to buy a Botman, the latest gadget to sweep his middle school. Only catch is, he wants to earn the money by doing the least amount of work possible. After several failed attempts, including a near disastrous day of dog-walking, Charlie Joe hatches a plan to throw his own bar mitzvah (no gifts please—checks only) even though he’s not Jewish. Hilarity ensues when throwing a fake coming-of-age party turns out to be much harder than it looks. The plot is so ridiculous, but it works because Charlie Joe makes it all seem very plausible. The parents are loving and fair when CJJ makes mistakes. His older sister is also very supportive. It’s nice to have a family intact in an MG book. I notice when boys pick up books they tend to flip through the pages to check how crowded the text is on the pages and for visuals. This series has different fonts and enough pictures to peek their interest. Little do they know its a trap, but a good one. 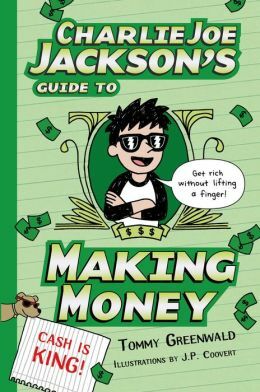 Charlie Joe spouts his wisdom with eight separate financial tips throughout the book. Some of it actually makes sense, but most is the 13-year-old mind seeing things a bit differently. Funny all the way for sure. I can already predict the next Charlie Joe guide. It will have something to do with getting the right girlfriend. Things are headed that way with the previous stories so I hope Mr. Greenwald is already going down that writing path. FAVORITE LINES: Now, usually I loved teacher development day, like all kids, but suddenly I realized how ridiculous it was. What was it that teachers were constantly developing anyway? This entry was posted in Reviews and tagged Charlie Joe Jackson, MG book reviews, Middle grade, Tommy Greenwald. Bookmark the permalink. Sometimes you’ve just gotta read a funny book. Having read a few sad stories recently myself, I so understand. Humor really is like dessert. More relaxing too. “Little do they know it’s a trap, but a good one.” HA! I will keep this in mind when I need something lighter. Thanks for the review. And thanks for posting links on Shannon’s blog. Very nice of you. Love the title of this one! I seriously have to pick one of these up! They sound so funny! This sounds like a lot of fun. I think my sons would love it. My youngest is especially drawn to books with pictures and/or interesting fonts. Agree, you got to change things up — even your reading. This MG book sounds humorous. Enjoyed your review. Thanks for visiting, tommy. I am looking forward to more laughs. Keep up the great work!